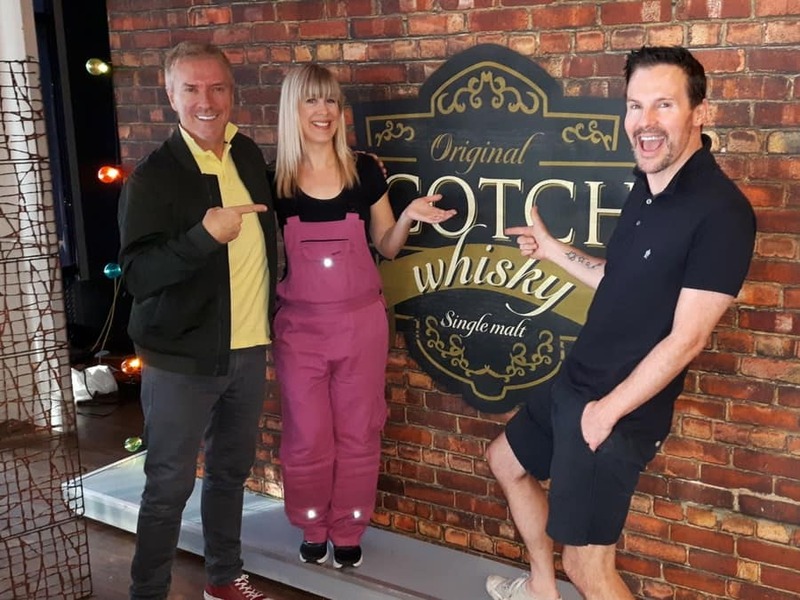 Even though this bar mural was painted in Hamilton, Ontario, I also sell removable wallpaper murals that can be customized with any image (scroll down to see a custom Whisky mural I created for a Cityline TV episode). They are super easy to hang! 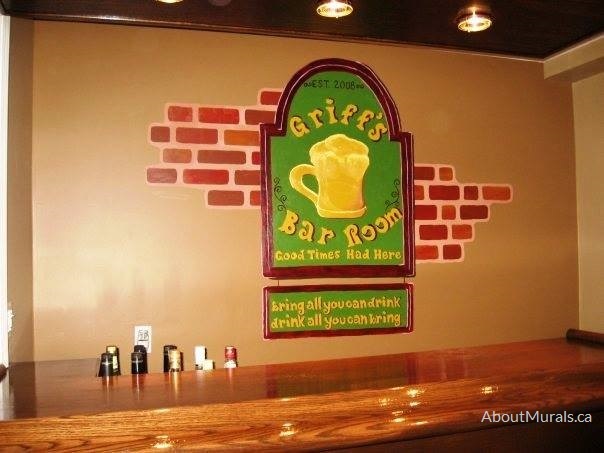 Thinking of a bar mural for your restaurant or man cave? Here are some photos of a mural I painted to give you some ideas for your own space. After having kids, Dani and Mark found themselves missing their nights out with friends. They created a home bar in their basement where they could enjoy a few bevvies with friends. The walls were already painted a warm beige colour before I came to paint the wall mural, but latex painting is a service I offer before painting my wall murals, if you’re not the DIY type. I only use non-toxic acrylic paint or no-VOC latex paint so it’s safe for you and your family to breathe the air – even on the day I’m done painting. Still thinking of a bar mural for your space and like my style? Let’s work together. Or…Maybe a Custom Wallpaper Mural? Join my newsletter community and I’ll keep you posted on all the latest promotions…and maybe even send a hot coupon code for ya!